January 22nd 2017 @ 7:30 p.m. This film will be screened in conjunction with the short film: Electrical Gaza. Gaza – a strip of land with a population of 1.7 million citizens, wedged between Israel and Egypt and isolated from the outside world. 42 kilometers of coastline with a harbor that no longer services ships. Hardly anything gets in to Gaza and even less get’s out. The young generation is growing up with very little perspective - occupied and jobless. But against this background there is a small movement. 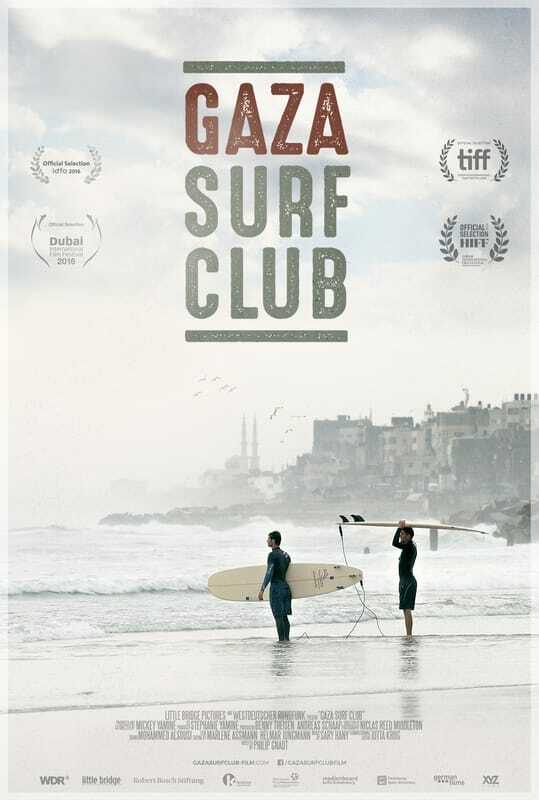 ​Our protagonists are part of the surf community of Gaza City. Round about 40 surfboards have been brought into the country over the past decades with great effort and despite strict sanctions. It is those boards that give them an opportunity to experience a small slice of freedom - between the coastal reminder of a depressing reality and the Israeli-controlled 6 mile marine border.